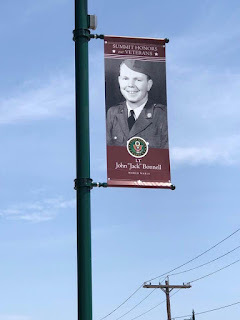 Thanks to my friend Joyce for sharing on Facebook today a story about the very special way her hometown, Summit, NJ, honors its veterans on Memorial Day. I tried to "Share" it but for some reason Facebook didn't allow it, so I'm writing about it here in the hopes that my friends in other cities, towns and villages across the country will see this and try to get a similar program going in their communities. 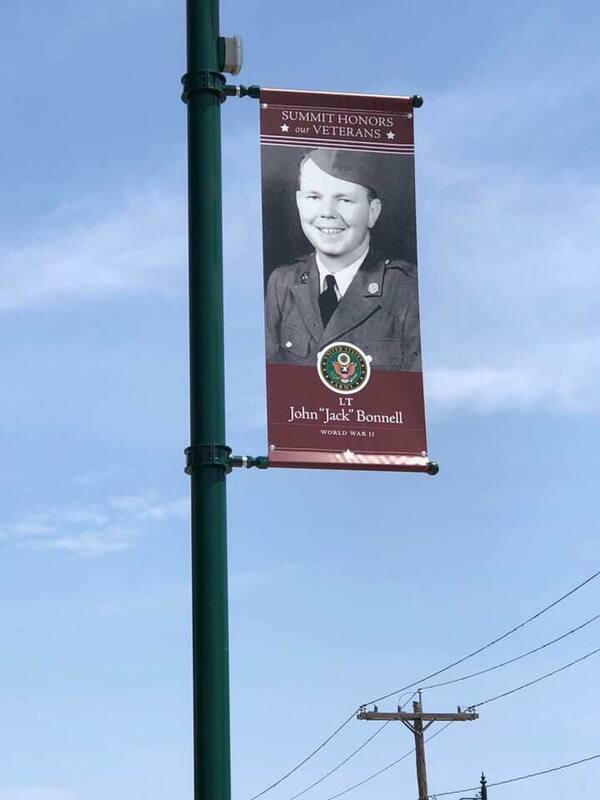 My hometown, Summit, NJ, is honoring its vets with banners on every street light. My dad .... Lt. Jack Bonnell, 2nd Armored Division .... WW II, Battle of the Bulge ... would be so proud to see his banner at DeForest and Beechwood. What a great tribute! The town has a wait list of veterans still to be honored. My sister, Sheila, who still lives in Summit, did the paperwork. Well done, Sheila! It's great to know that future Memorial Days will have these personal tributes to those who served. Kudos to the good folks of Summit, NJ who put this program together... and thank you Lt.Jack Bonnell and the millions of other veterans who have kept us free. Please share this story so your friends across the nation will see what Summit is doing and what they could be doing in their towns, too. “I hate that stupid scale, too,” Rupert added. "It always adds a pound." 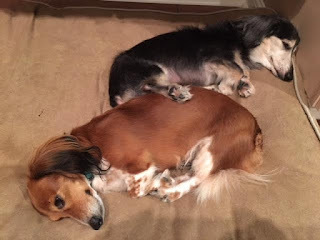 Two hours later, Billy Ray, Rupert and their Dad returned home from Dr. Jones’ office. Rupert plopped onto his comfy bed. A moment later he was joined by Billy. Wrapped around each other, the two little dachshunds, worn out by their great adventure, fell fast asleep.